Direct from a sellout in Paris, ‘C’est Magnifique’ makes its USA debut at Society Cabaret at the Hotel Rex, Thursday through Saturday, Nov.14-16 at 8pm. This retro floor show features the cosmopolitan jazz ensemble Twist, with Lua Hadar on French and English vocals, You’ll feel like you’re in a French Music Hall or a black and white movie. Full bar and delicious small plates available. The Hotel Rex is San Francisco’s answer to New York’s literary and cultural hangout, The Algonquin Hotel. Music Director Jason Martineau on piano, Dan Feiszli on bass, Kelly Park on drums and featuring jazz accordionist David Miotke. Hotel Rex Union Square, 562 Sutter Street, San Francisco, California 94102. There are a limited number of General admission $20 seats on sale now, while they last. Prime seating tickets are $45. San Francisco, August 21, 2013: Fresh from a success in Paris, Lua Hadar brings her cosmopolitan jazz ensemble Twist back to Yoshi’s Oakland to celebrate the Official Release of their DVD, Like A Bridge. 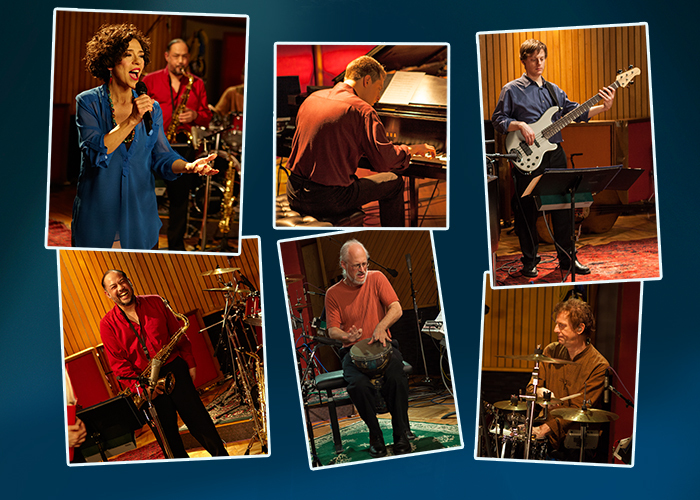 A 70-minute Live Studio Concert directed by Emmy award-winner Lawrence Jordan, Like a Bridge was shot at the legendary Fantasy Studios in Berkeley, and was nominated in the Long Form Video Category by the Independent Music Awards. On September 30, clips from the DVD will be shown on Yoshi’s new screen as the band rolls out some fresh new tunes live on stage. Music Director Jason Martineau on piano, Dan Feiszli on bass, Celso Alberti on drums, Ian Dogole on Global Percussion, Larry De La Cruz on reeds, and Hadar on vocals in seven languages. 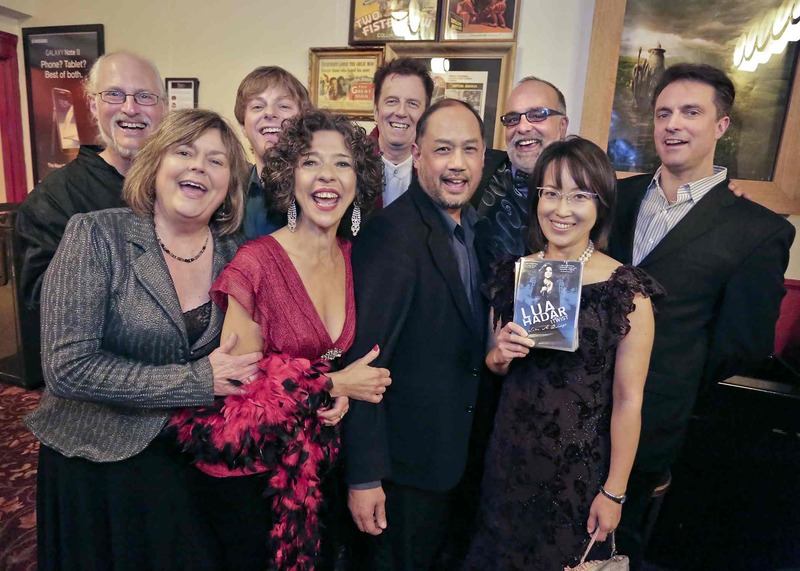 Media representatives may obtain a review copy of Like a Bridge CD or DVD by contacting info@luahadar.com. Lua previews her new show, C’est Magnifique, with Sheldon Forrest on piano and Albin Suffys on bass. with Sheldon Forrest on piano and Albin Suffys on bass. 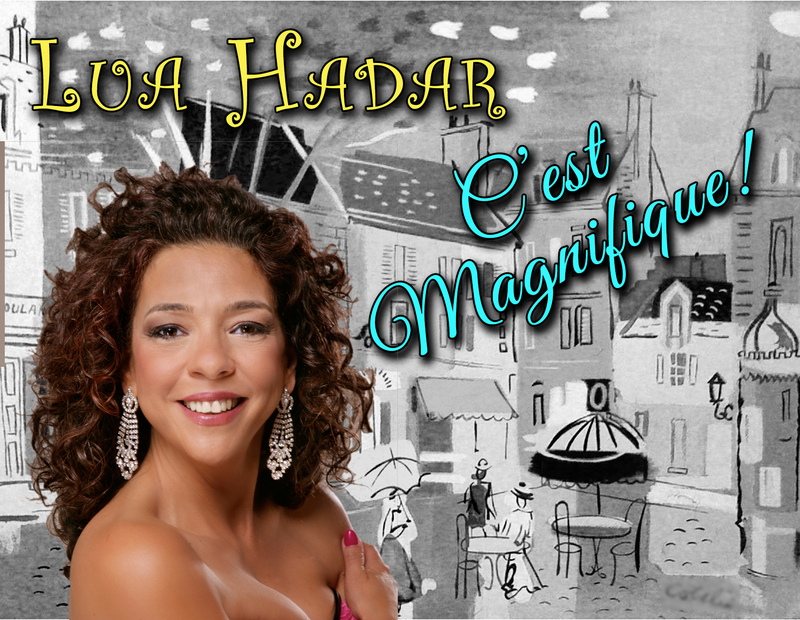 Lua Hadar previews her new show C’est Magnifique with her return to the 30’s style Swan Bar in Montparnasse. The jazz offerings feature Cole Porter, Charles Trenet, and a dash of love songs from around the world, as Hadar slips in and out of several different languages for a truly cosmopolitan love affair. She’s joined by two of her favorite musicians, Sheldon Forrest on piano and Albin Suffys on bass guitar. This Paris performance comes on the heels of her band’s nomination for an Independent Music Award for their cosmopolitan jazz DVD, Like A Bridge, which Twist celebrates with a return to Yoshi’s Jazz Club in the fall. La chanteuse américaine Lua Hadar a charmé le public par son jazz cosmopolite dans des clubs de jazz reputes, tels que Yoshi’s, The Iridium à New York et le Thailand Cultural Center à Bangkok. Elle fait son retour au Swan Bar avec deux de ses musiciens preferés, Sheldon Forrest au piano et Albin Suffys à la guitare basse. Chanteuse originale, au registre très vaste, Lua interprète avec swing, charme et humour une liste de chansons éclectiques, influencée par des échanges culturels dans des pays aussi variés que Bali, la Russie, la Suisse, le Japon, la Thaïlande, la France et l’Italie. Depuis sa création en 2007, Le groupe de Hadar, TWIST est reconnu pour son interprétation originale des standards internationaux, qui expriment notre humanité commune à travers des chansons dans 7 langues différentes. Congratulations to the band, artistic team and crew!! You rock!! San Francisco, April 10, 2013 – Cosmopolitan jazz ensemble LUA HADAR with TWIST of San Francisco, California joins more than 300 exceptional self-released and independent label artists, as well as former major label acts named by Music Resource Group (MRG) as Nominees in The 12th Independent Music Awards (The IMAs), the influential awards program for independent bands and fans. Like A Bridge DVD has been nominated in the Long Form Video category. 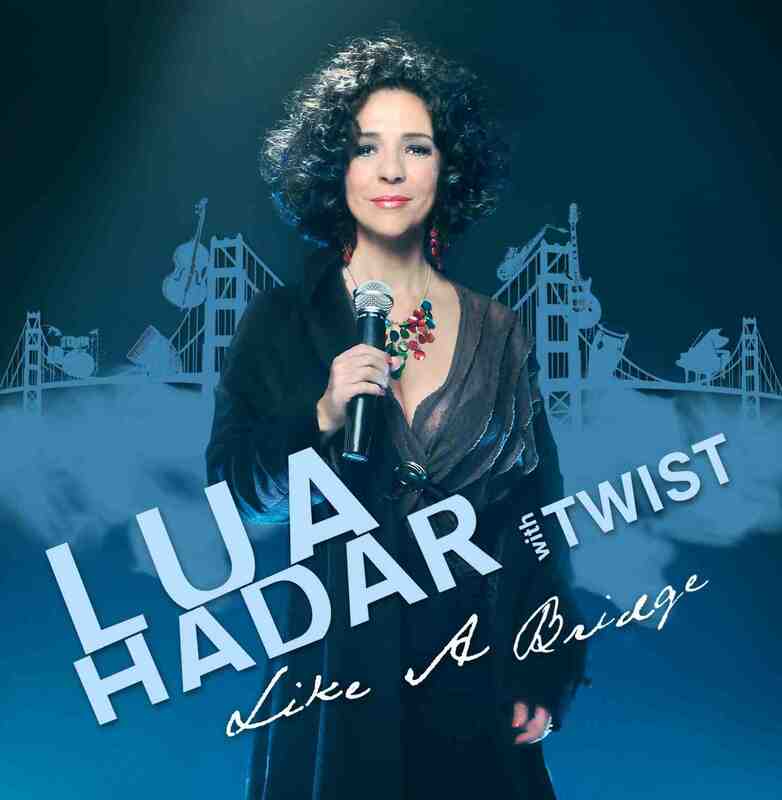 Lua Hadar with Twist is nominated among an eclectic mix of established artists and artists on the rise including Omar Sosa, Ben Kweller, Band Of Skulls, Bright Eyes, Langhorne Slim & The Law, Killer Mike, Paper Lions, Sarah Cheng-De Winne and The Congregation, among many other deserving artists whose recordings were released during the 12th IMA program eligibility period. Representing the broad spectrum of today’s global independent music scene, the Nominees in over 80 Album, Song, Music Video and Design categories were culled from thousands of submissions from North America, South America, Asia, Africa, Australia, Greenland and Europe. Winners will be determined by a panel of influential artist and industry judges including Tom Waits and Kathleen Brennan, Ziggy Marley, Suzanne Vega, Meshell Ndegeocello, Del McCoury, Pete Wentz, Shelby Lynne, G. Love, Jim Lauderdale, McCoy Tyner, Brandi Carlile, John Medeski & Chris Wood (Medeski, Martin & Wood), Judy Collins, Raul Midon, Andrea Marcovicci, “Weird Al” Yankovic, Bernie Worrell, Jeremy Taggart, Toots Hibbert, Dennis Diken, Joel Madden, Arturo Sandoval, Jonatha Brooke, Alan Light (Live From The Artists Den), Terry McBride (Nettwerk Music Group), Kevin Lyman (Vans Warped Tour), Jason Olaine (Jazz at Lincoln Center), Anthony DeCurtis (Rolling Stone), Dan Storper (Putumayo World Music, Bob Ludwig (Gateway Mastering), Bruce Iglauer (Alligator Records) and others. The results will be announced in May, 2013. 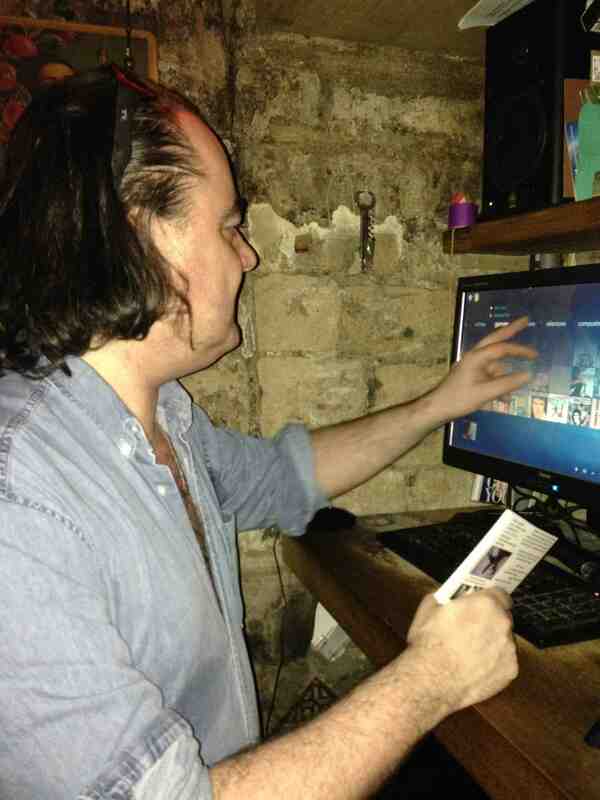 In addition to industry-determined Winners, music fans from around the world have until Friday, July 19, 2013 to cast their votes at The IMA Vox Pop Jukebox (http://www.independentmusicawards.com/imanominee/12th) to determine the fan-selected program winners. – a Dozen Divas for International Women’s Day.